Sunset Creek is one of my favorite Chapel Hill Neighborhoods. It is actually located in the Carrboro planning district but has a Chapel Hill address. It is in the Chapel Hill/Carborro School District which is rated as best in the state. Back in the mid 90’s I worked with the developer and builders as marketing director for the neighborhood so I have fond memories of watching the first homes go up and I spent many afternoons walking the streets showing the homes to future buyers. One of the best things about Sunset Creek is the size. There are only 68 homes, just enough to have a real neighborhood feel but also not a sea of houses. 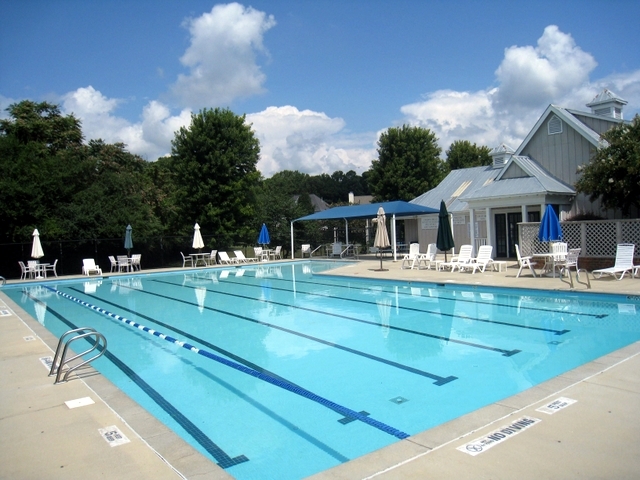 The pool, playground, clubhouse and common area bring neighbors together.